Today’s the last day of National Bike Month. Enjoy these images of the Wolfpack on wheels. Do you ride your bike to the library? Let us know in the comments! 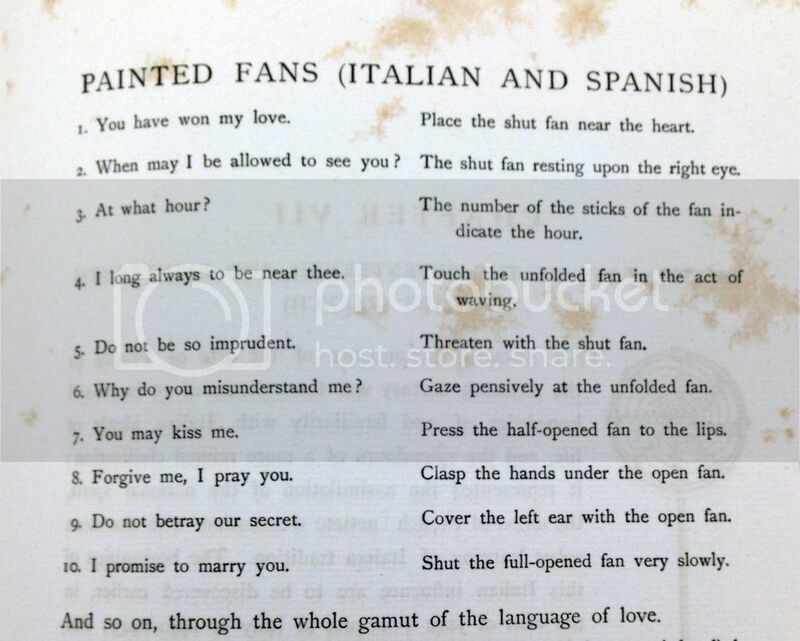 More images like these can be found in the University Photographs Collection. Happy 100th Birthday, Walker Percy! 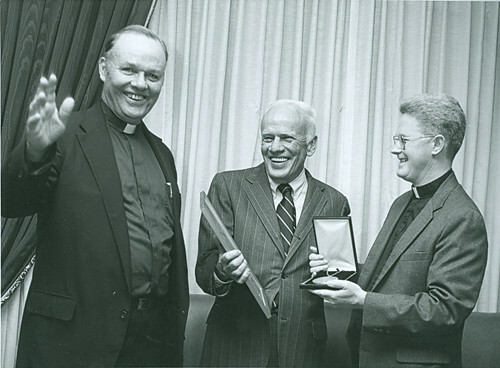 Walker Percy receiving the Campion Award from the Catholic Book Club at Loyola in 1986. L-R: Fr. Thomas Clancy, S.J. ; Walker Percy; Fr. Patrick Samway, S.J., Percy's biographer. Archives. Saturday, May 28th, would have been the 100th birthday of author Walker Percy. Percy was born on May 28, 1916 in Birmingham, Alabama, and achieved fame as the National Book Award for Fiction winner with his novel The Moviegoer. Walker Percy was raised agnostic/Protestant but later converted to Catholicism and wrote extensively about spirituality. He was a longtime Covington, LA resident and taught writing at Loyola, worked on the New Orleans Review, and was instrumental in getting John Kennedy Toole’s A Confederacy of Dunces published in 1980, eleven years after Toole’s death. 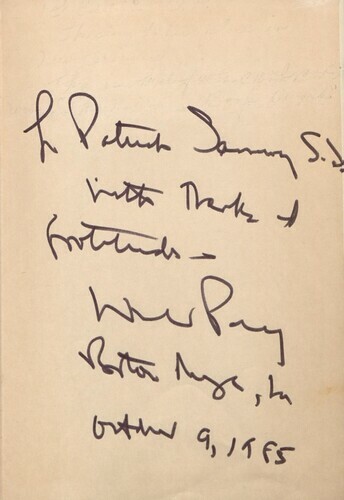 Special Collections & Archives houses many materials related to Percy, including a large catalog of books (with many first editions and autographed copies, most donated by Percy’s biographer Patrick Samway, S.J. ), and several archival collections of correspondence. Autographed title page to 1st edition of The Moviegoer, reads "To Patrick Samway, S.J., with thanks & gratitude. Walker Percy, Baton Rouge, La., October 9, 1985." Percy died in 1990, but his influence as a writer, editor, and educator continues to be felt both in Special Collections & Archives and at the Walker Percy Center for Writing & Publishing. 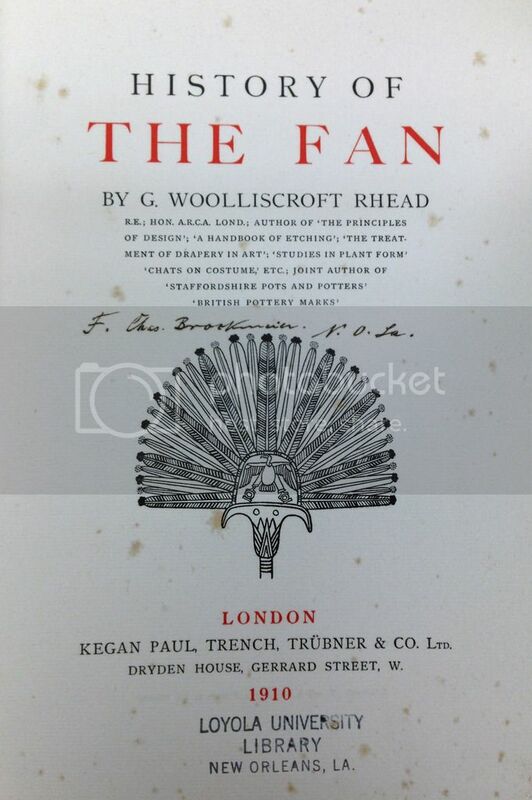 Today Found in the Archives takes a look at The History of the Fan. 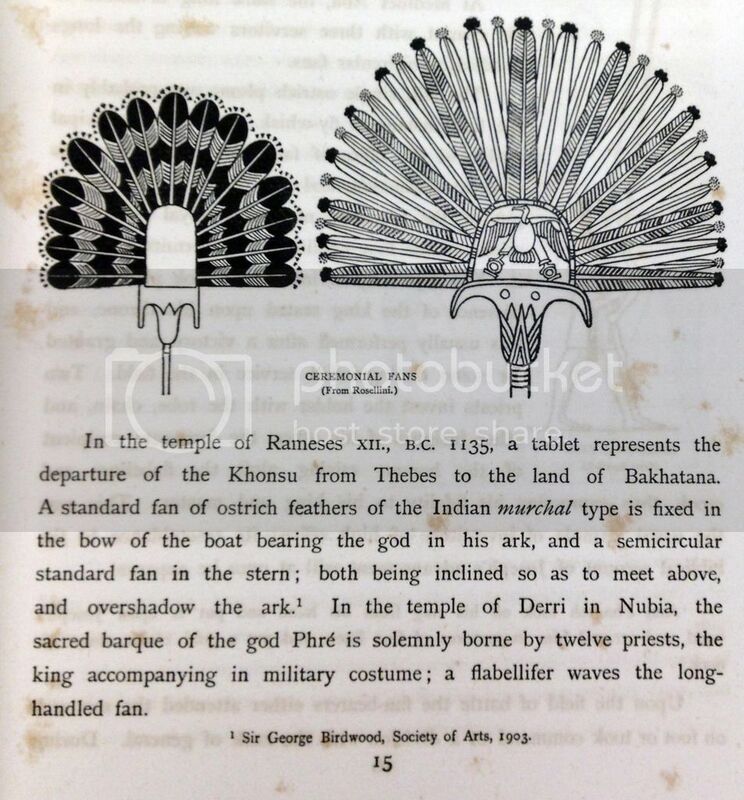 This large and lavishly illustrated volume was assembled by G. Wolliscroft Rhead, and published in a limited edition of 450 in 1910. 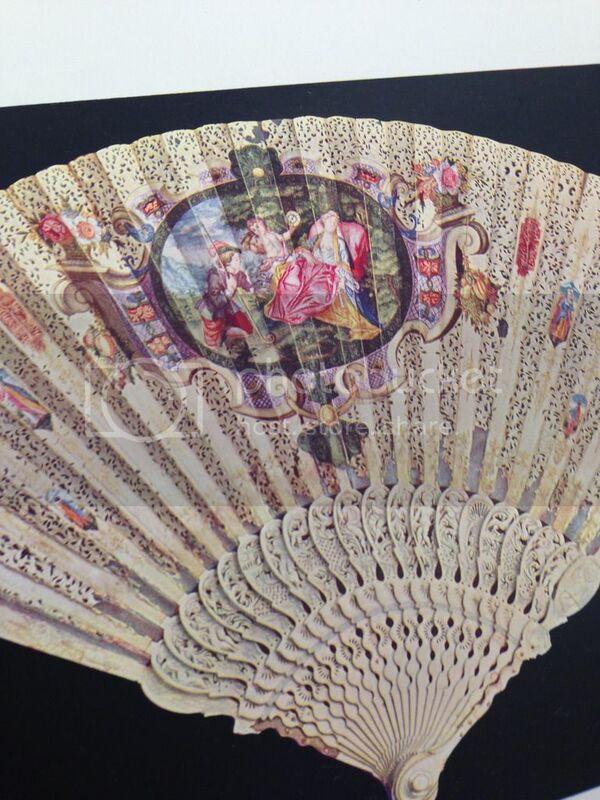 Come see The History of the Fan for yourself in Special Collections & Archives! 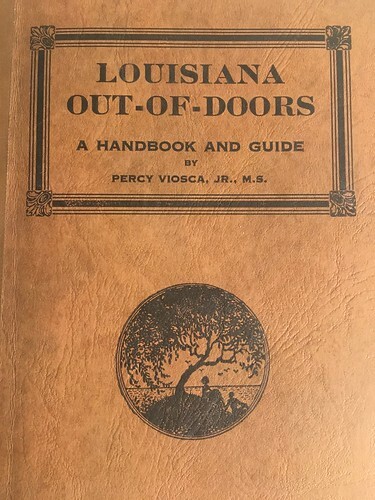 Louisiana Out-of-Doors is an illustrated handbook of Louisiana natural history and outdoor recreation published in 1933. 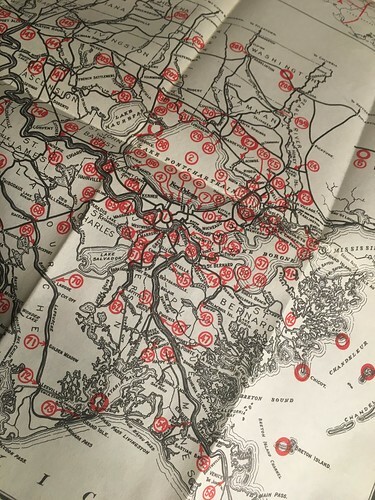 Fully indexed, it outlines all sorts of information and statistics including the geology of the state, outdoor activities, and locations listed with addresses, photos are scattered throughout (it even has a guide to poisonous snakes and snakebite treatments). This handbook comes with a separate foldout map that has points of interest numbered for easy reference. One activity that is highlighted is fishing or angling, one of Louisiana’s favorite pastimes. 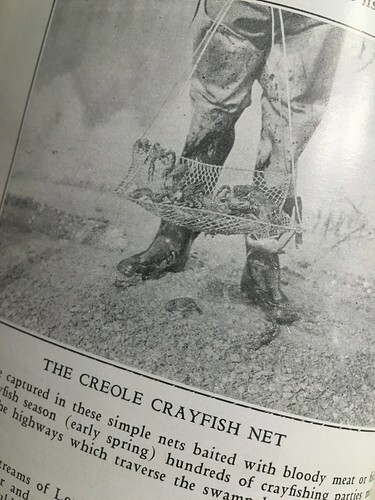 Of course, crawfish (Crayfish) are of special interests, but fishing, in general, is also explored. 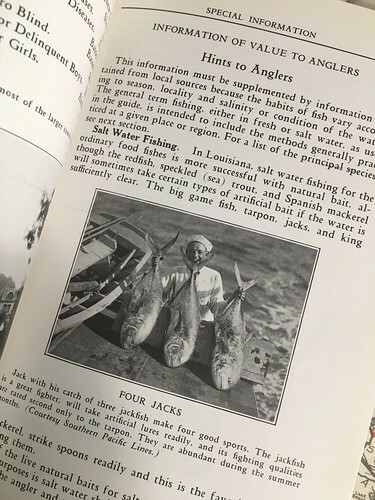 This is a great book to utilize when searching for recreational activities today as well as a great resource for researching the history of recreation and outdoors adventure in mid-twentieth century Louisiana. 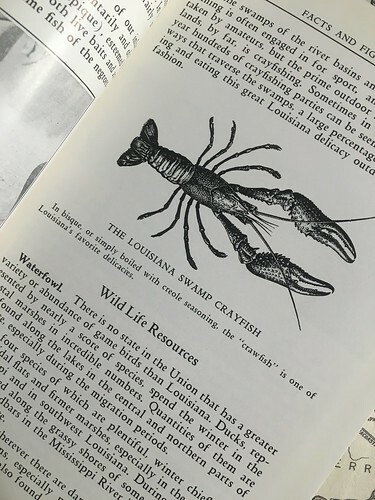 Come check out this and other Louisiana naturalist books Monday-Friday in the Special Collections & Archives on the 3rd floor of the Monroe Library. Special Collections & Archives has just added another ~2000 images from to the digitized Loyola University New Orleans University Photographs Collection. Fortuitously, many of the new batch of photos are of commencement ceremonies from Loyola’s past. Enjoy this look through over 60 years of graduation activities. 1987 Honorary Degree recipients Fr. Ernest J. Burrus, E. John Bullard, and Tom Benson with Archbishop Hannan. See more images of Honorary Degree recipients and graduation activities in the Loyola University New Orleans University Photographs Collection, and drop us a line at archives@loyno.edu if you see someone you know! Yellow Fever, sometimes called Yellow Jack or Yellow Plague, is a viral disease transmitted to humans by the bite of female mosquitoes of the Aedes aegypti species. Most cases of Yellow Fever cause mild symptoms including fever, headache, and chills; however, approximately 15% of cases develop into toxic, severe stages of recurring fever, jaundice (yellowing of the skin) due to liver damage, abdominal pain, vomiting, and internal bleeding. The city of New Orleans was plagued by several epidemics of Yellow Fever during the 19th century, the most deadly in 1853. Sadly, in a single year, 7,849 residents of New Orleans (population: 154,000) succumbed to the illness. 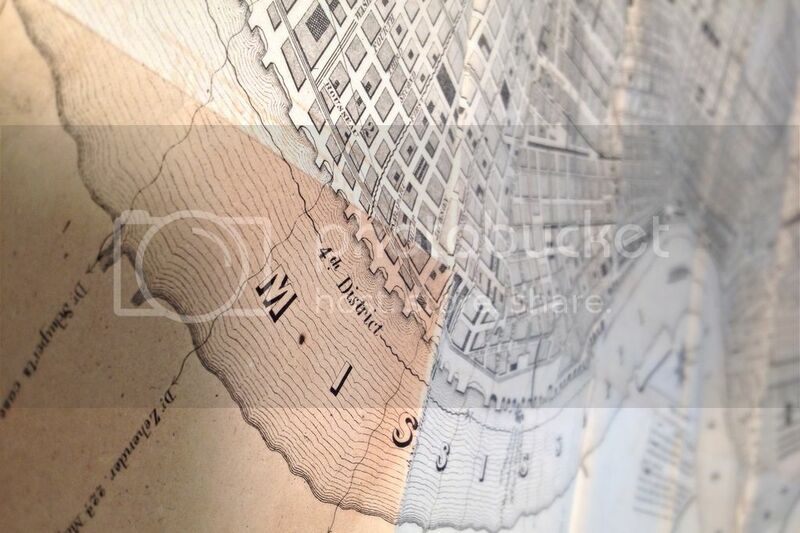 The publication includes eight foldouts, each employing a map or chart to illustrate data. Local researchers conducted many experiments in an attempt to control the epidemic, including but not limited to, purifying the air by burning tar and firing canons throughout the city (a method only employed once). After identifying mosquitoes as the transmitters of Yellow Fever, efforts were launched to control the breeding of insects, particularly through extensive sanitation–an endeavor largely responsible for ending the crisis. 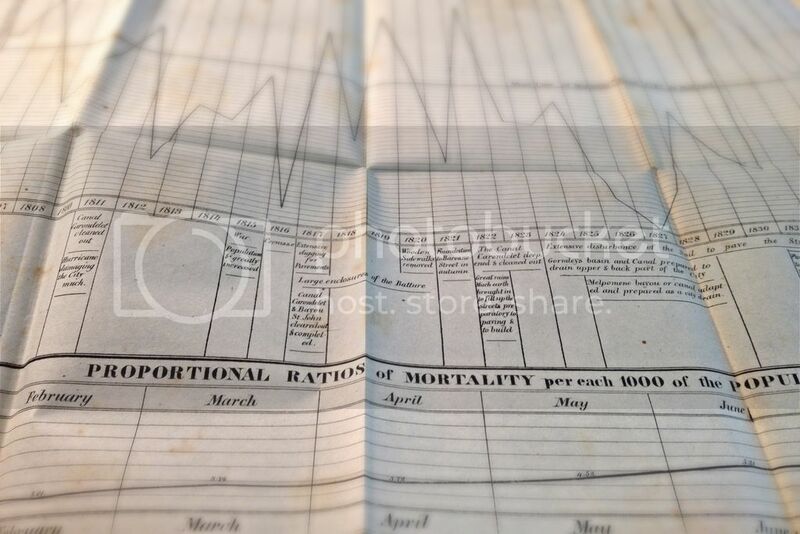 Interested in learning more about the Yellow Fever epidemic of 1853? 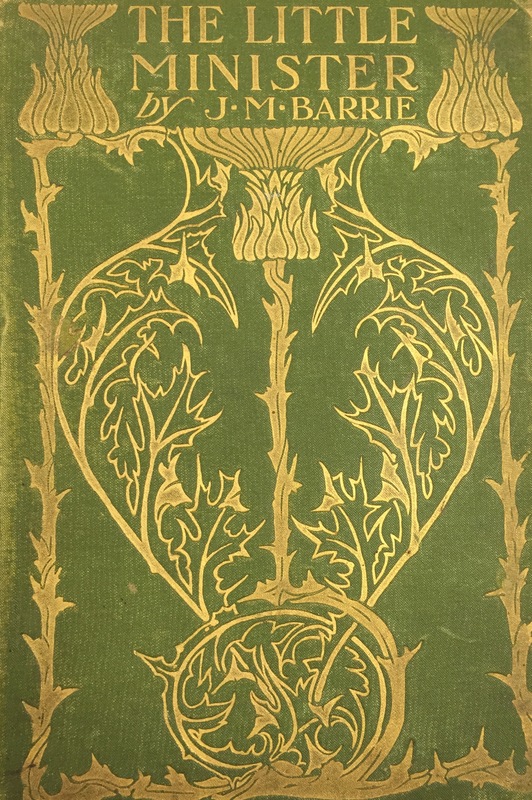 Visit us in Monroe Library’s Special Collections & Archives Monday-Thursday, 9:00-4:30 or Friday, 9:00-12:00 where The Cause and Prevention of Yellow Fever at New Orleans and Other Cities in America and additional texts (like this one) are available for viewing! I hope each of you have a wonderful holiday weekend (and don’t forget to wear a bit of bug spray)! 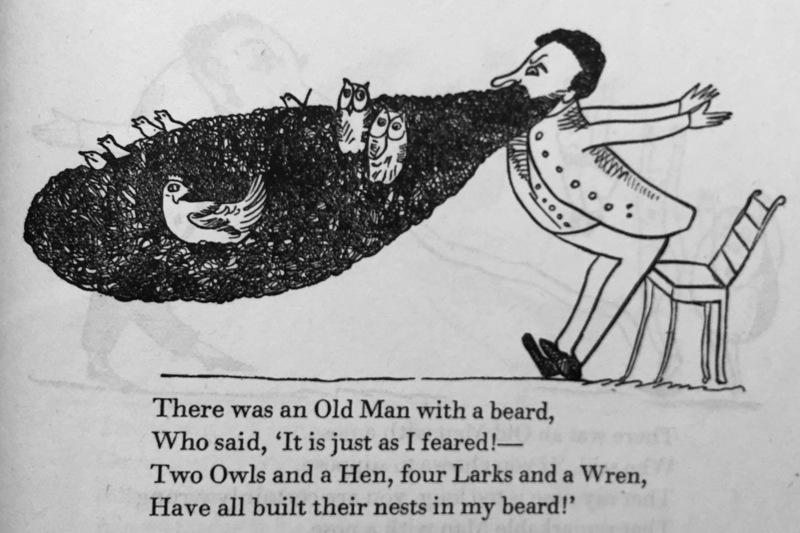 National Limerick Day is observed annually on May 12, the birthday of Edward Lear (1812-1888). 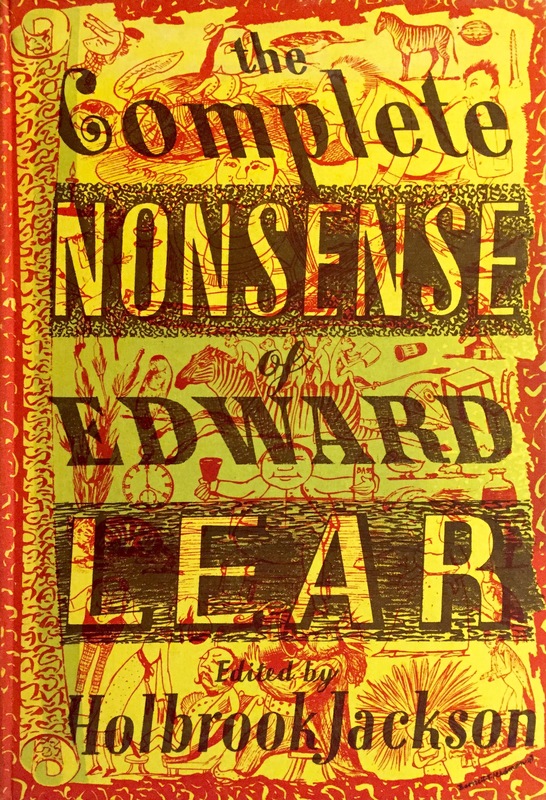 Lear is best known for his nonsensical poetry, prose, and limericks. 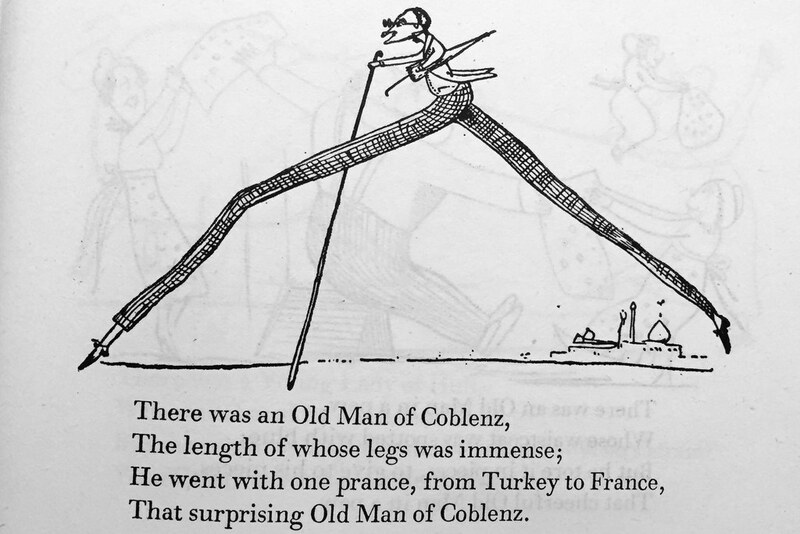 In celebration, we invite you to enjoy a sampling of Edward Lear’s whimsical poetry and accompanying illustrations as they appear in The Complete Nonsense of Edward Lear. Special Collections and Archives, located on the third floor of Monroe Library, is open for research and quiet study Monday-Friday, 9:00-4:30. 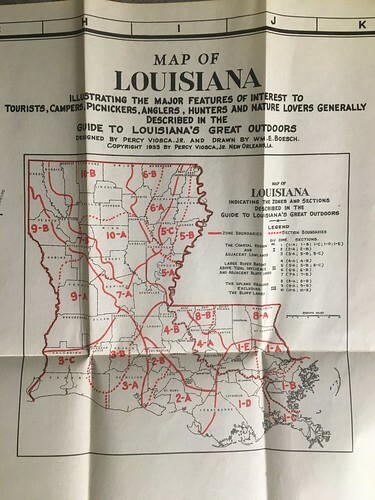 The Ecology Center of Louisiana, a private, non-profit organization headquartered in New Orleans, collected and disseminated information on Louisiana’s environmental problems and emphasized public participation in resolution of those problems. The Ecology Center, most active between 1970 and 1983, was founded in 1969 around a kitchen table by a group of environmentally conscious citizens. Among them was J. Ross Vincent, a research chemical engineer from Wilmington, Delaware, who would go on to lead the Center for more than a decade. 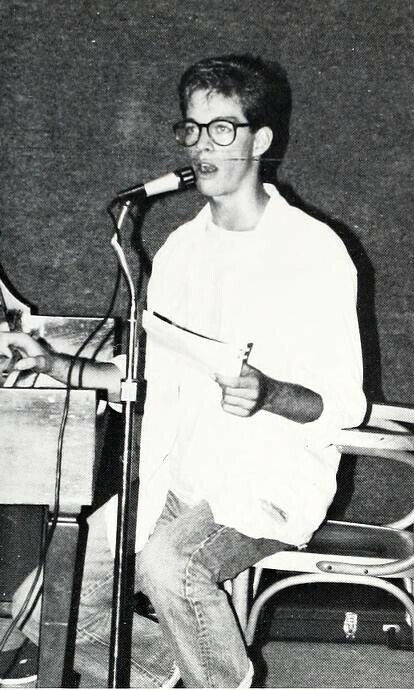 Center services included a monthly newsletter, lectures and panel discussions on environmental subjects, assistance to schools and teachers in the development of environmental curricula, Louisiana’s first recycling program, an environmental library and hot-line, radio and television programs and lobbying of city, state and federal government representatives. Over time, the Ecology Center became an established resource called upon for expertise and guidance by environmentalists, politicians, business people, students and interested citizens. Run by a board of directors made up of community members, the Ecology Center was assisted by a professional and volunteer staff and a Board of Advisors, which included the Governor and Lieutenant Governor of Louisiana, two U.S. Congressmen, an Assistant State Attorney General and various other government officials. During one of its busiest periods in early 1971, there were 146 people associated with the Ecology Center, including 131 paying members and 101 active volunteers. To fund its activities, the Center depended almost entirely on the support of its members and on private contributions from concerned citizens and businesses. Issues and events on which the Center had an impact include limiting the use of the fire ant pesticide Mirex, the first Earth Day celebration in Louisiana, the implementation of the Federal Clean Air Act in Louisiana, public awareness of issues for the United Nations Conference on the Human Environment, environmentally conscious urban planning, air pollution, construction of a deep draft oil terminal off of the Louisiana coast, the Waterford Nuclear Power Plant in St. Charles Parish, Louisiana, public parks, water and air quality management, and regional transportation planning. 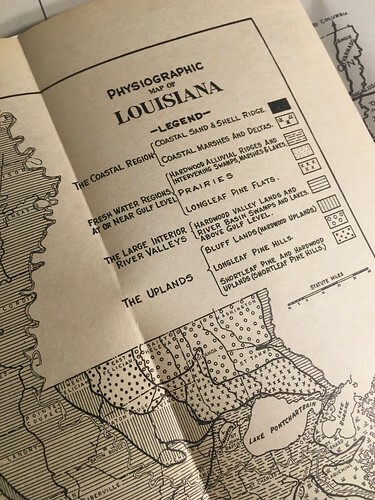 The arrangement of the Ecology Center of Louisiana papers is largely based on the inventory of creator, J. Ross Vincent. However, a portion of the original subject files was integrated in the interest of cohesiveness. Papers document the activities of the Ecology Center through founding records, correspondence, articles and newsletters on environmental issues from its founding in 1969 until 1987 when J. Ross Vincent, the Center’s president and co-founder moved out of state. 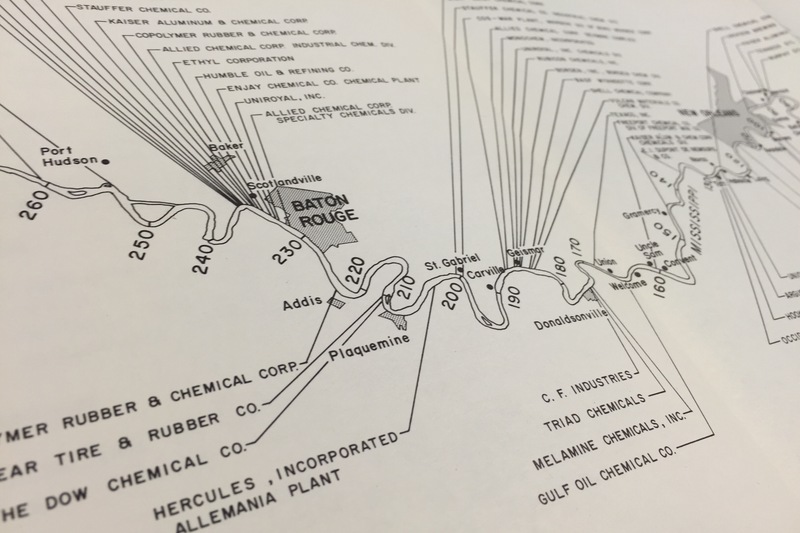 The predominant topics of conversation involve environmental issues affecting the state of Louisiana, the support for or opposition to environmental legislation and litigation, and the seeking or dispensing of environmental information. Papers demonstrate that the Ecology Center was able to establish credibility with government agencies, the business community, organizations of concerned citizens and the public regarding environmental issues that directly affected the state of Louisiana and its inhabitants. Other than general administrative papers and correspondence, papers are predominately divided by environmental subjects, including Air Pollution, Chemicals, Water Pollution and Coastal Zone Management, Land Use, Transportation, Solid Waste, Energy, Law and Litigation and Organizations, Conferences and Newsletters. Within each of the subjects, there is additional correspondence between the Ecology Center and concerned citizens, environmentalists and politicians. The collection includes information on a broad range of important environmental issues, as well as evidence of efforts by the Ecology Center and the impact of the Center to effect some change for the betterment of the environment. Finally, the collection includes publications collected by and related to the organization. J.M. 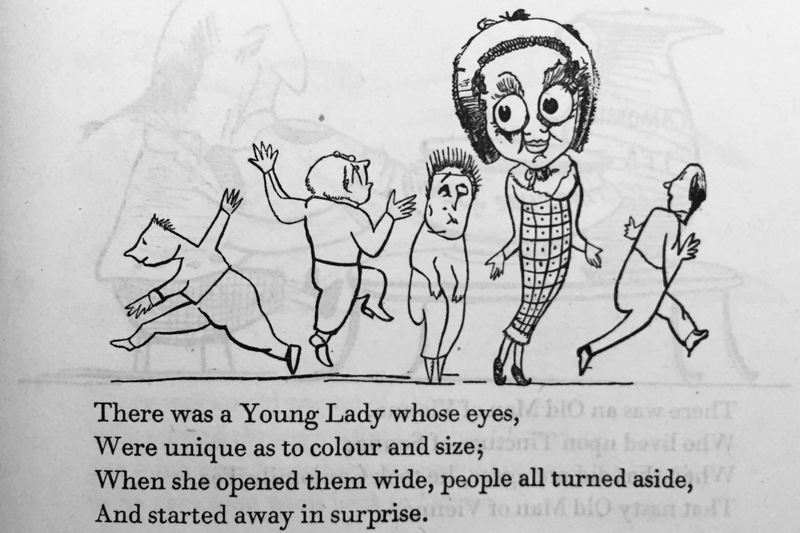 Barrie, best known as the author and creator of Peter Pan, was born on this day in 1860. 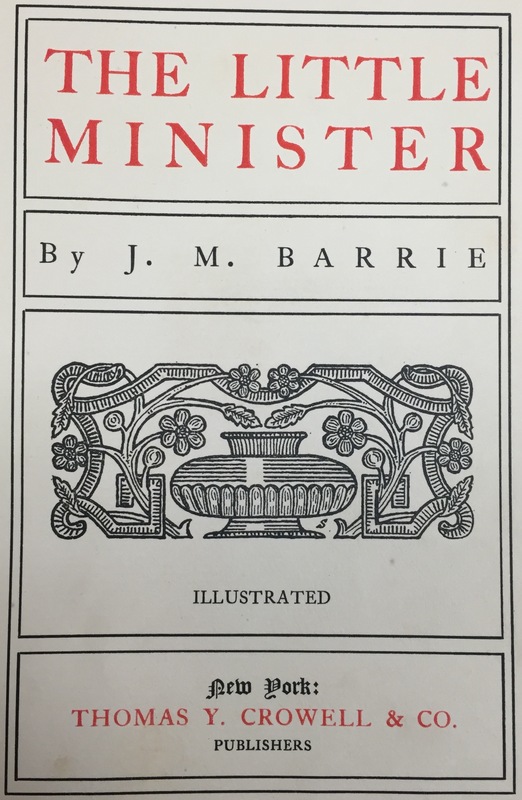 Pictured is our 1st edition copy of Barrie’s lesser known 1891 work The Little Minister. 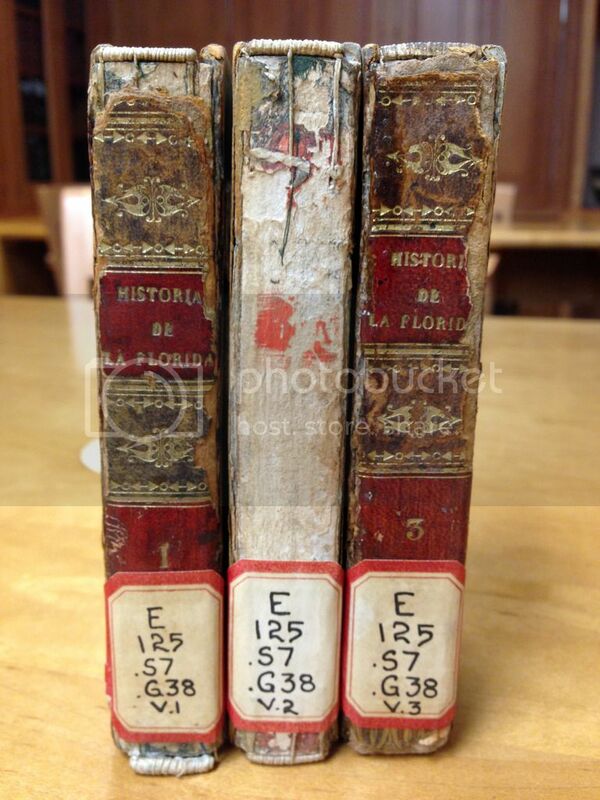 Today’s mini book is Historia de la Florida by Inca Garcilaso de la Vega. 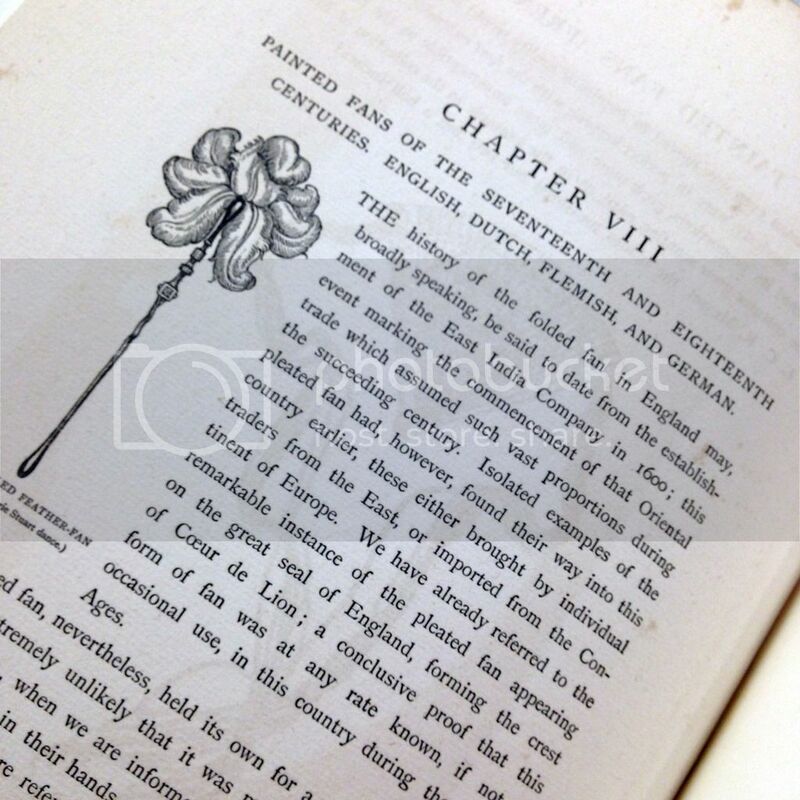 Only 13cm tall, this little three volume edition was published in 1803 in Madrid. 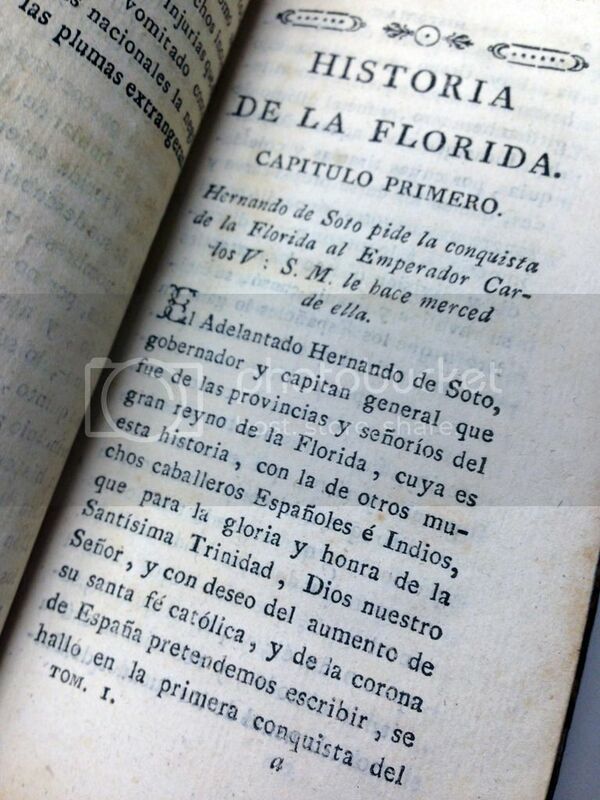 Originally published in 1604, Historia de la Florida tells the story of Hernando De Soto’s exploration of Florida in the 16th century. 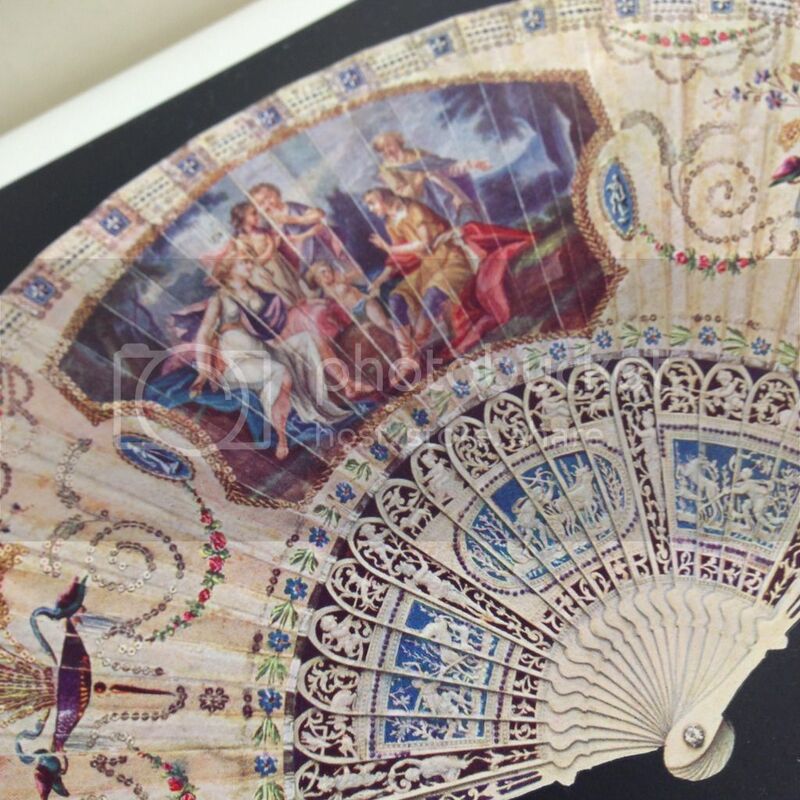 You are currently browsing the Library Lagniappe blog archives for May, 2016.